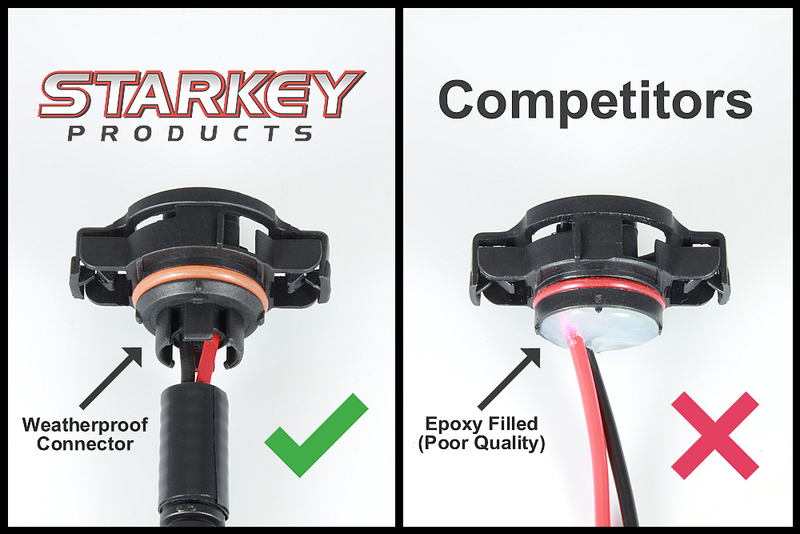 Looking for a way to extend factory fog light wiring without cutting or splicing? Now available is a plug-n-play solution from Starkey. 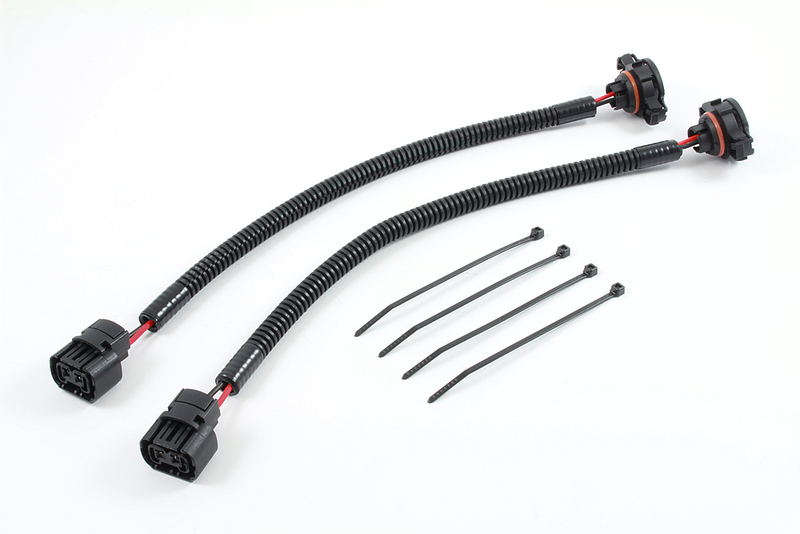 This adapter will extend factory wiring by 12 inches, allowing you to easily re-locate factory fog lights! Great for use with aftermarket bumpers! 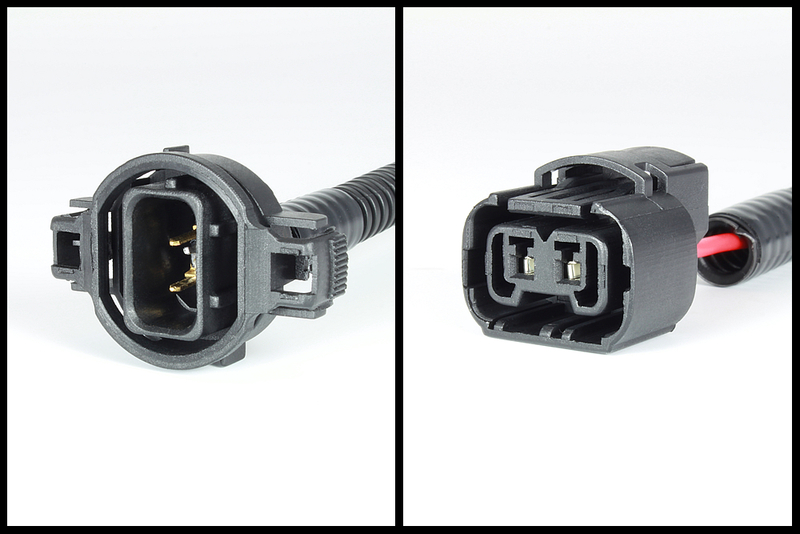 Only high quality connectors & wire are used – don’t settle for anything less! *While our connector looks slightly different to some factory connectors, it works and seals perfectly. After installing a new front bumper on my 2018 JKU the cables for the fog lights were not long enough. These fit perfectly without any modification and have worked fine for over 2 months now.